Though seeds are fundamental to all food systems they have evaded scrutiny in much of the discourse around local and alternative food networks. With rising interest in community gardens, urban allotments and ‘growing your own’ food, some gardeners have begun to question the provenance and suitability of commercially available seeds, and have learnt how to save their own. ‘Seed savers’ are gardeners who cultivate their own fruits and vegetables before selecting, drying and storing the seeds to provide future crops for themselves and others. They claim that home-grown seed is better suited to small-scale, organic systems. What’s more, self-sufficient seed production provides opportunities for resisting the control of what is argued to be an increasingly corporate and concentrated industrial seed system. Conservation networks, like Garden Organic’s Heritage Seed Library and local seed swap events connect seed savers so that they can share their seed harvest and source unusual varieties at a low cost. In doing so, seed saving networks extend gardeners’ individual and everyday practices with plants and seeds among a wider gardening community, and contribute to the biodiversity of British gardens. On February 5th 2017, Seedy Sunday takes place in Brighton and Hove. As the UK’s largest and longest running annual seed swap, the event brings gardeners together to swap seeds (one packet can be swapped for either another packet or a fifty-pence donation), exchange gardening advice and skills, listen to talks and learn about local food projects and environmental groups. In a new paper in Area, I explore how seed savers’ practices of cultivating and exchanging can be understood as a kind of ‘quiet activism’. Though the relatively mundane activities of tending plants and sharing seeds may seem at odds with the vocal and combative protest often associated with traditional accounts of activist behaviour, they can contribute to environmentally and socially progressive goals. Seed savers propagate and protect rare and heirloom seeds that are outlawed by EU legislation prohibiting the sale of unregistered varieties. Swapping and gifting seed also generates feelings of connectedness amongst extended collectives of growers. As plant material is circulated and sown, it forges links between diverse growing spaces, connecting gardeners over space and time. A Guardian article exploring ‘the cult of quiet’ highlights a contemporary desire for quietness, and explores the recent trend for silent reading parties, dining and even dating. Occupying a purposeful rather than passive embodied stance, quiet activism seems to promise both radical potential and the possibility of retreat. Seed savers suggest that their tangible practices of making and growing hold greater currency in cultivating environmentally and socially just food systems than vocal, antagonistic protest. But is there also a risk that these quiet acts go unheard? This research with seed savers prompts geographers to look beyond noisy and disruptive activism to expose small, quietly subversive acts of gardening, crafting, making and doing. These varied forms of action provide a rich terrain for researchers to explore activisms performed at varying volumes, and their unique possibilities and limitations. 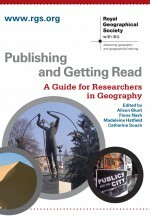 About the author: Laura Pottinger is a Research Associate and Senior Tutor in Geography at the University of Manchester. Laura’s research explores ethical food consumption, focusing on alternative food initiatives. This entry was posted in Area and tagged activism, embodiment, Gardening, practice, quiet, seeds on January 5, 2017 by RGS-IBG Managing Editor: Academic Publications. The ‘no frills’ airline sector has diversified recently as Tony Fernandes, who runs low-cost airline Air Asia, has brought his Tune hotel chain to the UK. The first Tune hotel opened near Westminster this summer and charges as little as £9 a night. The strategy behind the cost is that any extras are paid for separately: a towel and hotel soap will cost you £1.50, while £3 will buy you television access. We might talk about this hotel in terms of travel or mobility geographies, or as part of urban geography, but a recent paper by Rose et al. (2010) inspires something different. 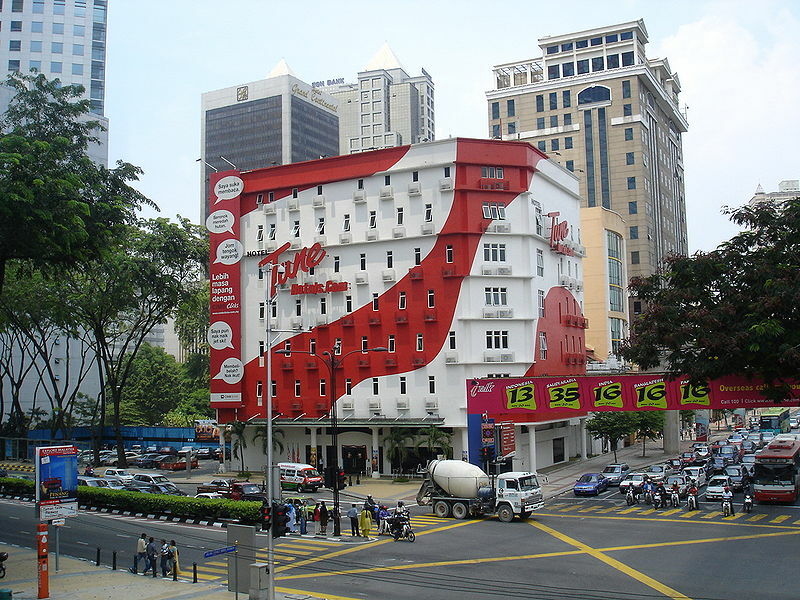 The paper takes buildings as its subject and argues for conceptualizing them as performances. Behind this thesis is the lack of attention paid to the constructive role that human emotions play in (re)producing buildings. Thus, Rose et al. set an agenda for geographers to consider human feelings of buildings, feelings in buildings and feelings about buildings. So how does the Tune hotel perform? This entry was posted in Transactions of the Institute of British Geographers and tagged affect, Budget hotel, Bugdet airlines, buildings, Development, Feelings, Performance, practice, Tune Hotel, Urban Geography on September 14, 2010 by fionaferbrache. By Paula Bowles Welcome to the second week of the Wiley-Blackwell Virtual Conference. The first day back has started with a keynote speech from Peter Ludlow (Northwestern University) entitled ‘Virtual Communities, Virtual Cultures, Virtual Governance.’ Conference delegates also had the opportunity to meet Peter at the Second Life Cocktail Bar. There were two other papers on Monday’s session Adam Brown’s (Deakin University): ‘Beyond ‘Good’ and ‘Evil’: Breaking Down Binary Oppositions in Holocaust Representations of ‘Privileged’ Jews’ and ‘A Hybrid Model of Moral Panics: Synthesizing the Theory and Practice of Moral Panic Research’ presented by Brian V. Klocke (State University of New York, Plattsburgh) & Glenn Muschert (Miami University). In addition Wiley-Blackwell’s Vanessa Lafaye held a publishing workshop entitled ‘The Secret to Online Publishing Success.’ As you can see, this week promises to be as exciting and innovative as the previous one. All of the papers and workshops from last week are still available to download from the conference site, and both the ‘battle of the bands’ and the opportunity to contribute a ‘winning comment’ remain. This entry was posted in Uncategorized and tagged Adam Brown, Auschwitz-Birkenau., ‘battle of the bands’, ‘winning comment’, Brian V. Klocke, communities, cultures, evil, Glenn Muschert, good, governance, Holocaust, hybrid, Jews, moral panics, Peter Ludlow, practice, Primo Levi, privilege, publishing, research, Second Life, theory, Vanessa Lafaye, virtual on October 28, 2009 by compasseditorial.